Azzam Al-Ahmed, a leading Fatah figure in charge of Palestinian conciliation, told Ahram Online in a telephone conversation from Ramallah, Palestine, that the deputy chief of Egyptian intelligence, Major General Mohamed Ibrahim – one of the lead officials working on Palestinian affairs – requested a meeting with the Palestinian Liberation Organisation (PLO). “We are anticipating his visit next week, especially that it will be the first by a senior Egyptian official after a long absence,” Al-Ahmed said. He noted that Ibrahim did not specify which issues will be discussed, however, Wassel Abu Youssef, member of the PLO’s Executive Committee, confirmed that Ibrahim will arrive in Ramallah on Monday to discuss ways to re-launch inter-Palestinian conciliation after factions, especially Fatah and Hamas, had engaged in a political power struggle for control of Palestine. The high-level meetings include Palestinian President Mahmoud Abbas and a number of officials from Palestinian factions. Yasser Al-Wadiya, a Palestinian independent figure who is taking part in the dialogue, confirmed that invitations have been sent to all Palestinian factions and forces to attend a meeting on Sunday in Gaza City to deliberate on Palestinian conciliation and forming a national government. It is certain that Cairo has been in contact with Hamas to explore their position at this point, especially that group leaders – most prominently Moussa Abu Marzouq, the deputy of Hamas’s Political Bureau – asserted that the Egyptian proposal is no longer on the table after the ouster of the former regime in Cairo, who had brokered the deal. 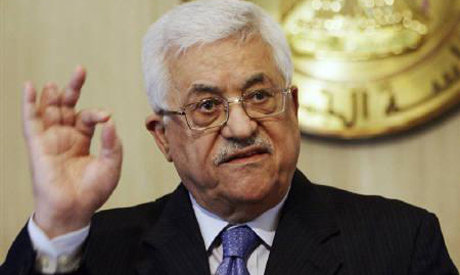 Abu Mazen (as Mahmoud Abbas is also known) has called for parliamentary elections within months in areas under the control of the Palestinian Authority (PA), including the Gaza Strip, which is under the sole rule of Hamas. Hamas rejects elections until Palestinian conciliation is achieved. Cairo is expected to intercede before conditions deteriorate further and become more complicated. An expert on Palestinian affairs at the National Centre for Middle East Studies said that many workshops are underway in think tanks to discuss the mechanisms of running the country and Egypt’s international relations, as well as polling the elite for their opinion. Egypt’s current head of general intelligence Major General Murad Muwafi was head of military intelligence before he briefly became the governor of North Sinai – a position he left when he was appointed as head of intelligence to replace former Vice President Omar Suleiman, who held the post since 1993 until the beginning of this year.